...and… if he could,... possibly hint at lovable… or at least sympathetic…"
Doug smiled and humbly said, "I’ll see what I can come up with." I don’t remember completely if I had shown Doug the storyboard yet. Looking at the drawings now I can tell that I hadn’t seen anything Doug had created at that point. A few storyboard pages are posted on the website production page HERE . Strange and disfigured characters are usually startling at first, but to carry the story there also needs to be part of them with which people can identify or at least have an understanding of their struggle. to both the comedic and dramatic aspects of the film. The end result - The character of Joe wasn’t this freaky funny cartoon anymore. 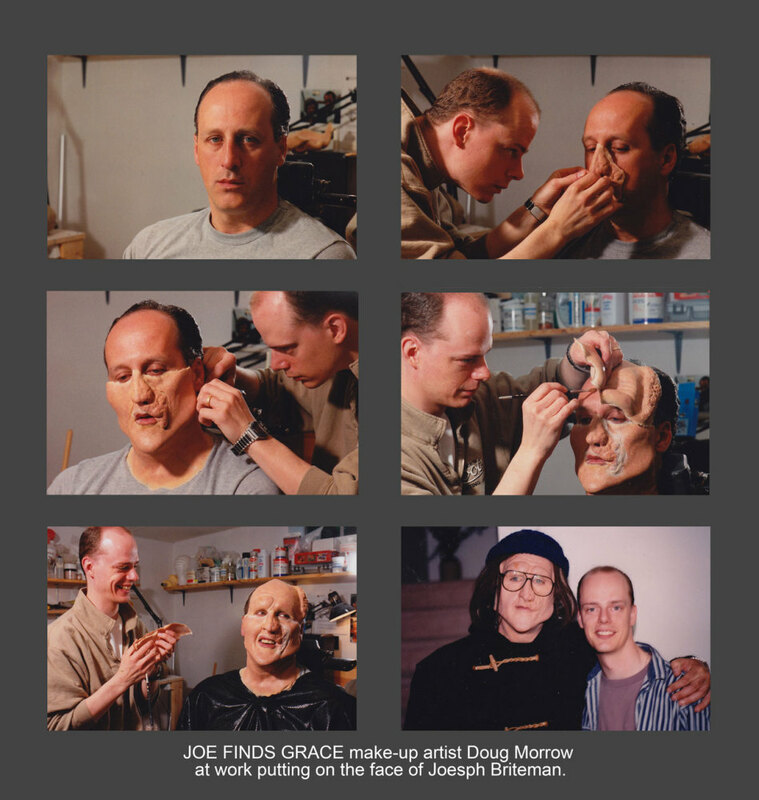 Doug’s designs and makeup creations brought so many dimensions of the character to life. For the first time I saw Joe as this sad and tragic human being. His face (and neck) were a finely sculpted, multi-layered work of living art. Working from his private studio he first created a small 1/4 scale mock-up, then full size working prosthetics that he refined to perfection over the following weeks. 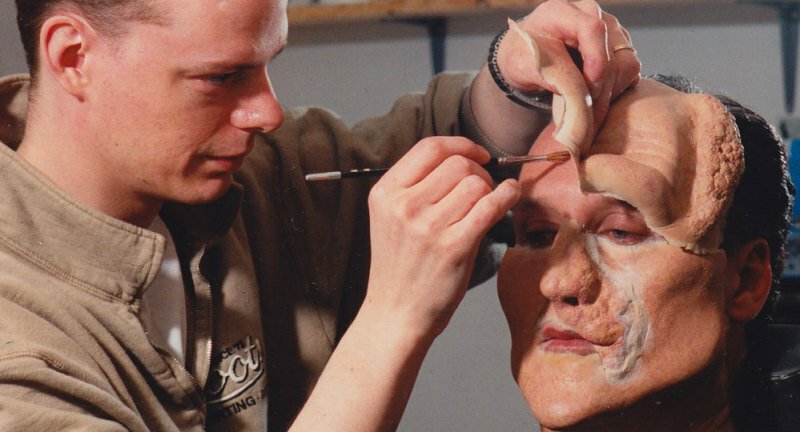 A two hour application process of the seven piece prosthetic face and neck followed up with the addition of glasses, wig and a knit cap and Joseph Briteman was alive. He was believable and breathing… and quite unique… and the jury is still out on lovable.